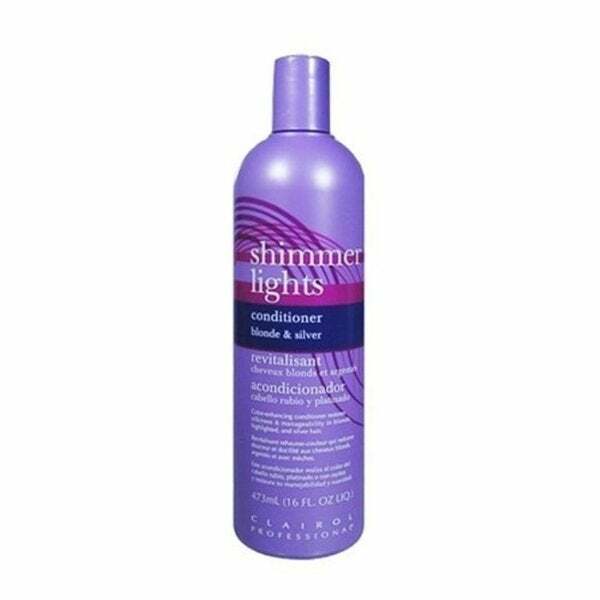 Shimmer Lights Conditioning Shampoo and Color-Enhancing Conditioner are specialized haircare products for white, gray, decolorized and toned, highlighted and light blonde tinted hair. The shampoo is a gentle, non-alkaline, protein-enriched formula that neutralizes and tones down yellow. 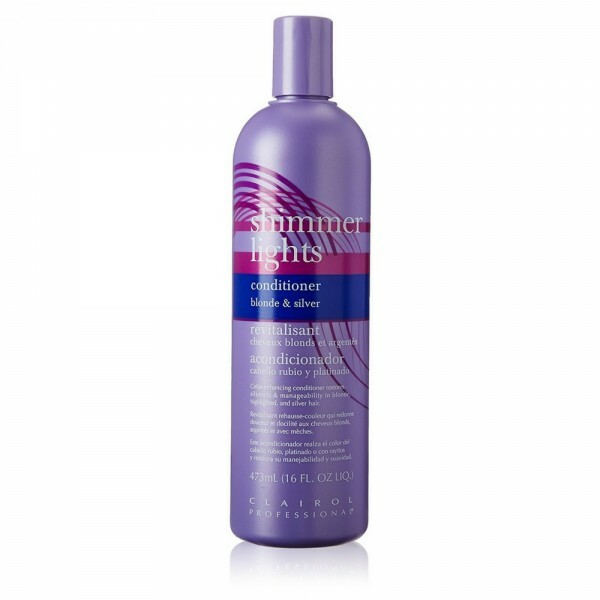 The conditioner silkens coarse gray hair, leaving it manageable without unwanted residue. Clairol Shimmer Lights Conditioner Blonde & Silver 16 oz.